Suzanne and Ryan introduced us to the campgrounds at Samuel P. Taylor State Park in Marin County. 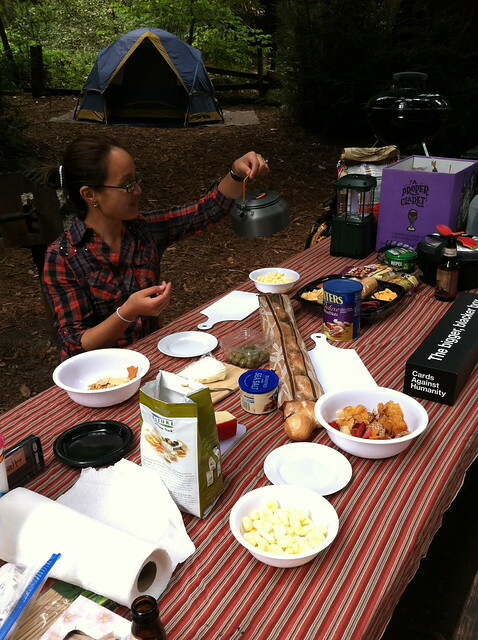 As always, we had a fantastic food spread on our picnic table. 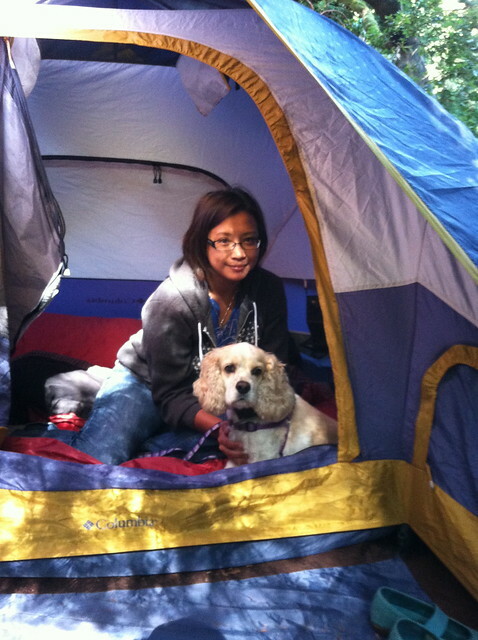 Also, this was Daisy’s first camping trip. We pitched a tent in our backyard and spent the night outside with our dog. She looked confused but happy to be with us. I’m sure she was wondering why we would want to sleep in her toilet area. 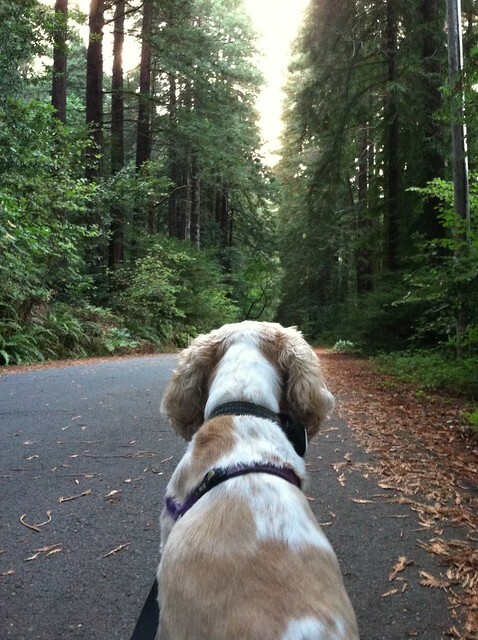 On her next camping adventure, Daisy stayed on leash at our campsite. 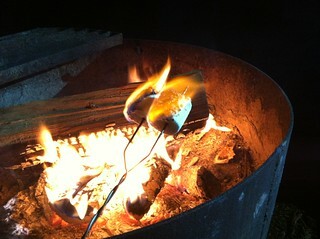 Marshmallows roasting over an open fire. 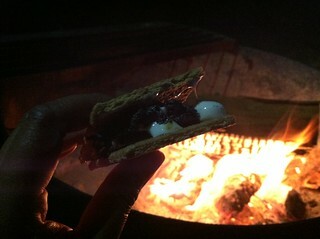 Humans enjoyed s’mores. Daisy enjoyed an amuse “pooch” of Korean BBQ. Giant raccoons enjoyed lurking by the tents and freaking us out. She was a little too relaxed when we settled into our tent. Yes, that happened next to my side of the sleeping bag. Sigh. 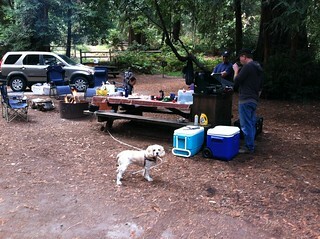 Still, I would love to go camping with our dog again.